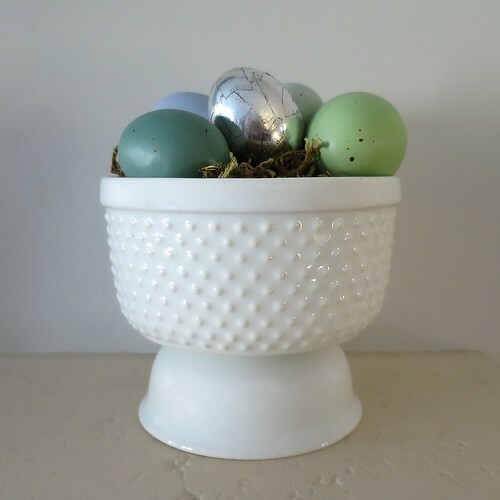 I have been looking for the appropriate vessel to display some eggs on my mantle for Easter and just haven’t found anything I liked. I didn’t want just a bowl or a plate. All the baskets I’ve seen are too big or too fussy or too cheap looking. Then I was looking through the dishes at Target and came up with this. A footed bowl. Really, it is a bowl and a ramekin. I loved the look of the bowl, but then thought it would look even better raised up a little. A look down the aisle and I found the solution. I hesitate to call this a project, but it really is sooo simple. 1. 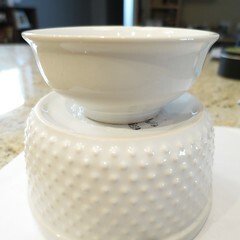 Clean and dry the bottom of the bowl and the ramekin, removing any labels. 2. Lay the bowl down upside down. 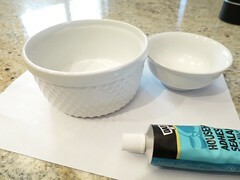 Put a bead of glue along the bottom edge of the ramekin. Glue to the center of the bottom of the bowl. Spend the time to make sure it is centered. Let dry. That’s all there is to it! 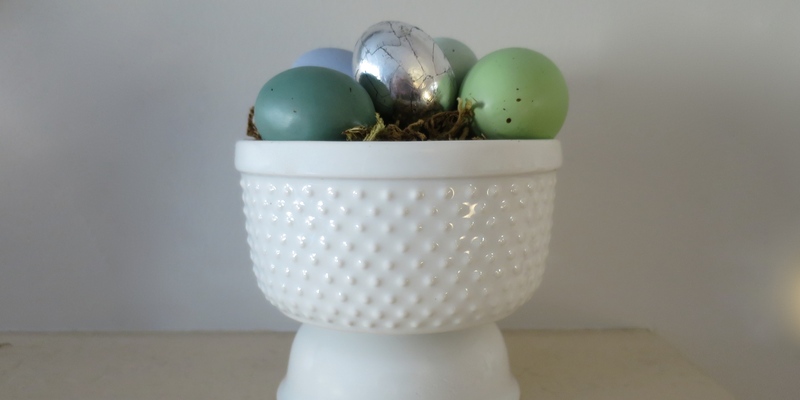 I have a feeling I’ll be finding other uses for this little bowl after Easter too. 5 years ago by Kat in Craft Projects , Crafts , Projects | You can follow any responses to this entry through the RSS feed. You can leave a response, or trackback from your own site. Great job. Your green and blue eggs are beautiful too (are they real or craft eggs)? 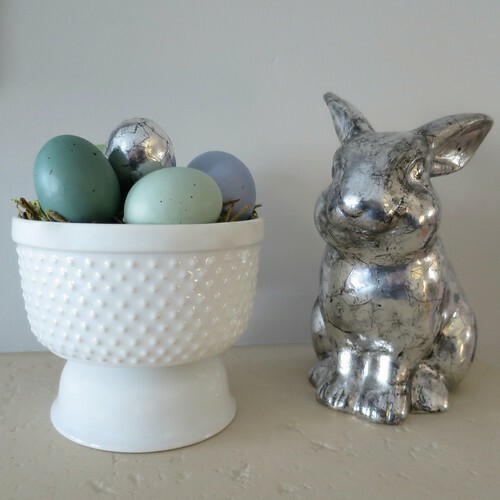 Of course, I have still been trying to replicate your silver eggs. I hope you plan on sharing your Easter decorations when they are finally available. Your sneak peeks have me intrigued. Those were actually the eggs I turned into the silver eggs, I just kept a few of the nicest colors. They are a resin and really pretty. Very ingenious! Looks like an antique serving bowl. I thought so too, especially with the style of the bowl.